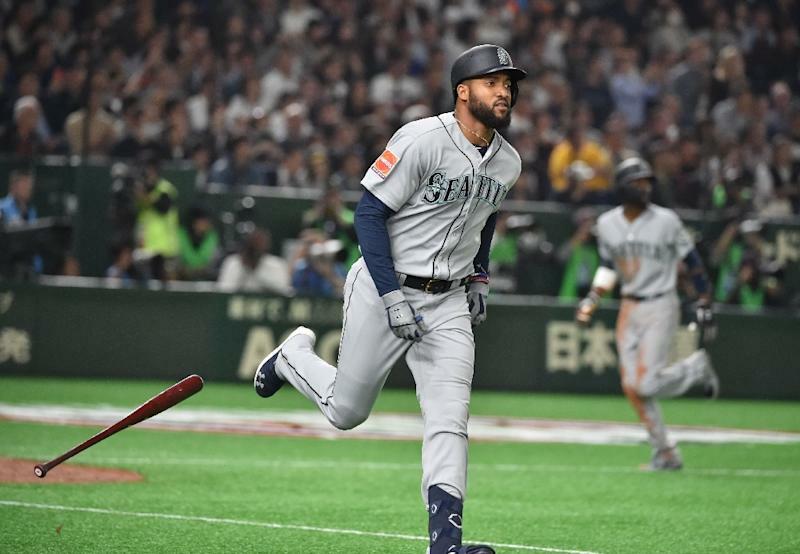 Tokyo (AFP) - Domingo Santana blasted a grand slam Wednesday to lead the Seattle Mariners to a 9-7 opening-game victory over the Oakland Athletics in Tokyo. Tim Beckham, who went three-for-three, fired a two-run shot in the fifth to contribute to the win. 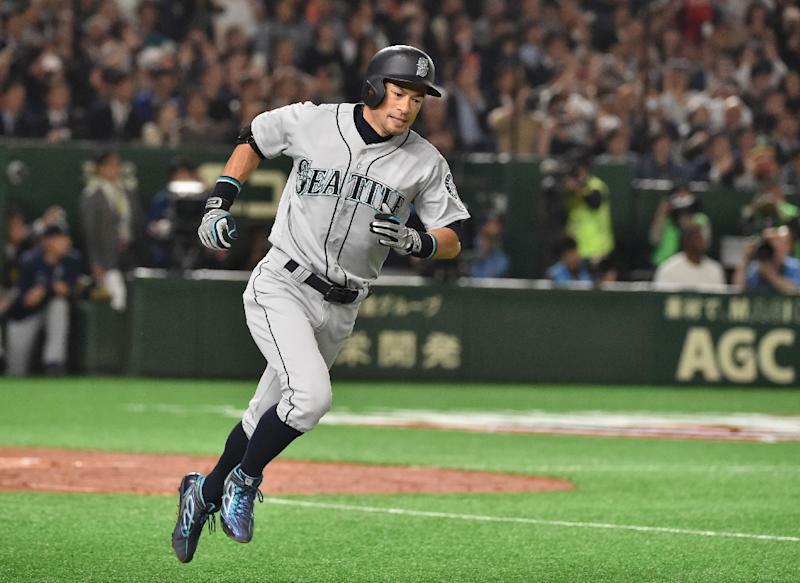 But for Japanese fans who packed Tokyo Dome, it was all about veteran star Ichiro Suzuki, whose sluggish performance was more than offset by his younger Seattle teammates. The Athletics began the offensive early, with Stephen Piscotty hitting the first home run of the season in the bottom of the first from Mariners left-hander Marco Gonzales who marked his career's first opening-day start. But Santana's homer to right field with all bases loaded in the top of the third inning flipped the game to 5-2, and the Mariners never gave up their lead. "It was a great swing. Glad we got to win today," Santana said. For the Athletics, Khris Davis fired a two-run homer in the bottom of the third. In the seventh, Athletics' Matt Chapman fired a three-run shot to make it 9-7, but that was the end of scoring. MLB held its season opener in Japan for the first time in seven years, and local fans focused on every move by Suzuki, 45, an aggressive hitter with superb bat control but hardly on his top form. The opening series is expected to be the last time his compatriots get to see him play in their home town -- and could mark his swansong after a storied career. Seattle have named Suzuki to their 28-player roster for Japan, but the former hitmaker could be cut when they trim the squad to 25 on their return. In his first at-bat in the top of the third, Suzuki popped a fly to second baseman Jurickson Profar. Batting ninth, he chose to walk his second at-bat in the top of the fourth. But it was Suzuki's final batting appearance for the evening. He went to the right field to start the bottom of the fourth inning but was called back to be replaced by Daniel Vogelbach. Fans gave him a warm standing ovation as a smiling Suzuki jogged back to the dugout where team mates received him with hugs. Suzuki, who has broken a number of MLB records since sweeping to rookie of the year honours in 2001, remains coy about his future after hitting just .080 in spring training. He stepped aside to take up a front office job last season and is entering his 19th MLB campaign on a minor league deal with the Mariners. Japan's most successful baseball export, in 2004 Suzuki broke an 84-year-old milestone for hits in a single season, finishing with 262 -- five more than baseball legend George Sisler had in 1920. He subsequently became the first Major Leaguer to record 200 hits in 10 consecutive seasons, while also helping Japan win the World Baseball Classic in 2006 and 2009. Santana praised Ichiro's presence on the team. "It feels great. Even being part of his team ... is just awesome. Just a dream come true," he said.